Diageo and Australia’s Podpac have scooped up a 2019 Product of the Year award for their world first, Australian innovation licensing partnership, Baileys™ Nespresso® compatible Premium Coffee Pods. Now in its 10th year, the Product of the Year award is backed by the votes of over 14,000 Australian consumers and recognises product innovation across all retail categories. 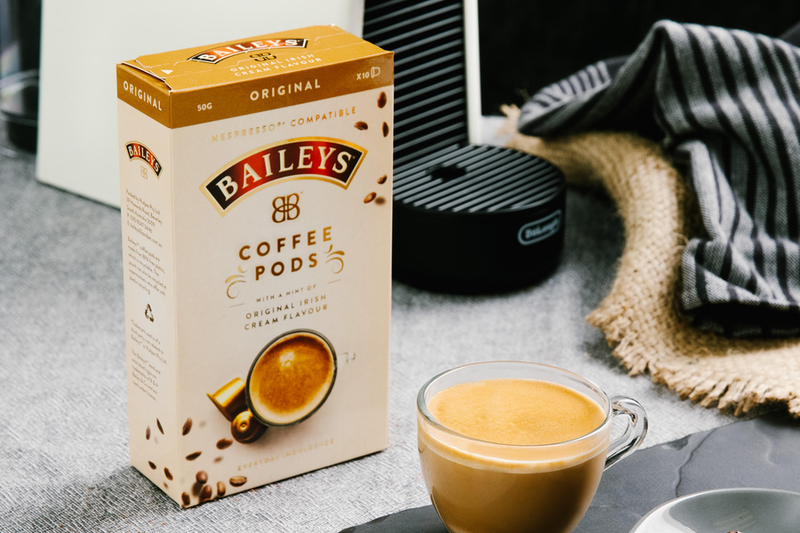 The innovation was the brainchild of Australian coffee making capsule company, Podpac, who approached Diageo with the concept of launching a range of premium coffee pods under the Baileys™ brand. Brokered by Diageo’s Australian and New Zealand licensing agent, Asembl Brands, the Baileys™ Nespresso® compatible Premium Coffee Pods in Original Irish Cream and Mocha varieties launched this year in Coles and Woolworths as well as via online here. “We are incredibly pleased to have had our licensing partnership with Podpac recognised as a Product of the Year. Backed by over 14,000 Australian consumers, the Product of the Year award acknowledges product innovation at its best and our Baileys™ Nespresso® compatible Premium Coffee Pods is a first worldwide. Licensing extensions are important to our brand and the success of the Baileys™ Nespresso® compatible Premium Coffee Pods is just another example of us partnering with the right company to develop a product that consumers love,” said Diageo Senior Licensing Manager, Food, Declan Hassett. “Baileys™ and Podpac spent over a year developing this exciting new product and we believe it is the greatest coffee innovation since Nespresso® launched its first coffee pod system over 30 years ago. 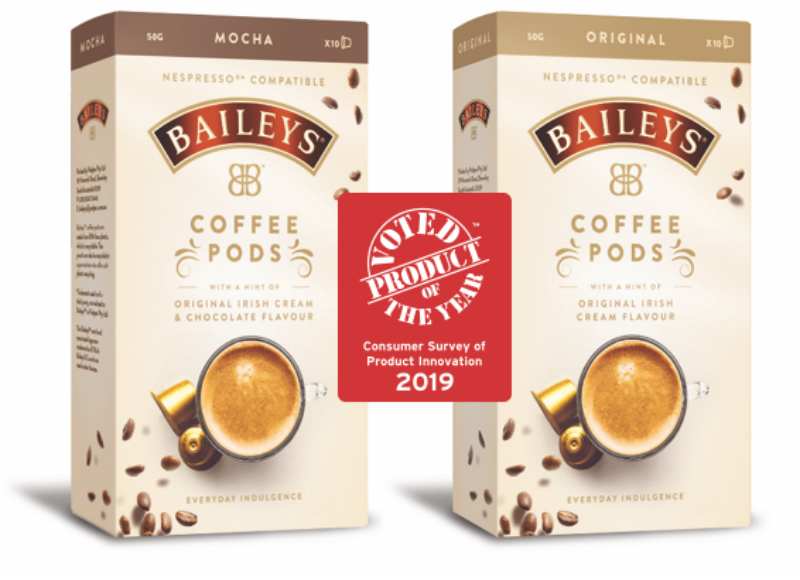 We’re absolutely thrilled to win Product of the Year for our Baileys Premium Coffee Pods and hope Australia continues to enjoy this delicious and unique coffee experience,” said Podpac Managing Director, Toby Strong. “We always knew this licensing partnership between Baileys™ and Podpac was going to be a retail success. This Product of the Year award is testament to the innovation genius of this product and demonstrates the licensing power of the Baileys™ brand,” said Asembl Managing Director, Justin Watson. The range of Baileys™ Premium Coffee Pods are aimed at adults aged 25+ and that is reflected in both the pricing and packaging. Retailing at $6.49 for a pack of 10 pods, the Baileys™ Premium Coffee Pods contain 0.01% alcohol content.